The Windows Store has always had its fair share of growing pains, and since its debut in Windows 8, it has been dwarfed by Google and Apple’s offerings. In Windows 10, however, it finally looks like the Windows Store has turned the corner. The Windows Store has had a rocky start. At the outset, it had little going for it. App selection was sparse and Microsoft failed to attract the kind of big name app developers that Apple and Google were attracting. To make matters worse, the kind of apps you could find in the Windows Store were often outright scams. Things appear to have gotten much better and the latest version of the Windows Store is clean, attractive, and well organized. 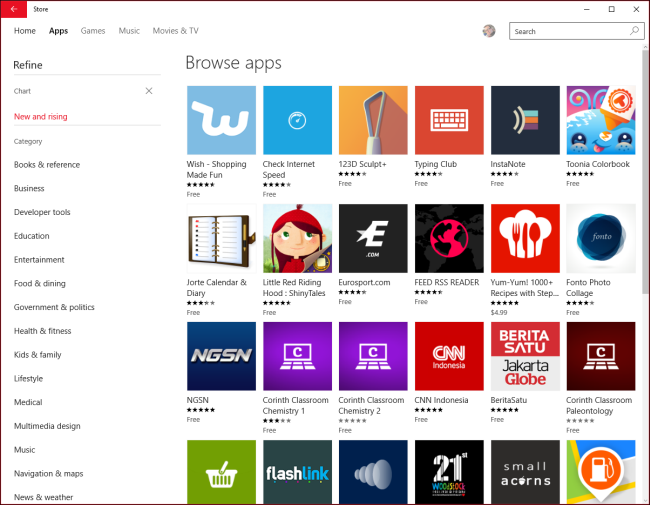 When you open the Windows Store, you will see that it is categorized into five sections. The main section, “Home” features best-of-the-best type apps and games. Click “Apps” for example, and you’ll see you can browse and refine your view. Apps are arranged by a wide assortment categories, and you can also search. 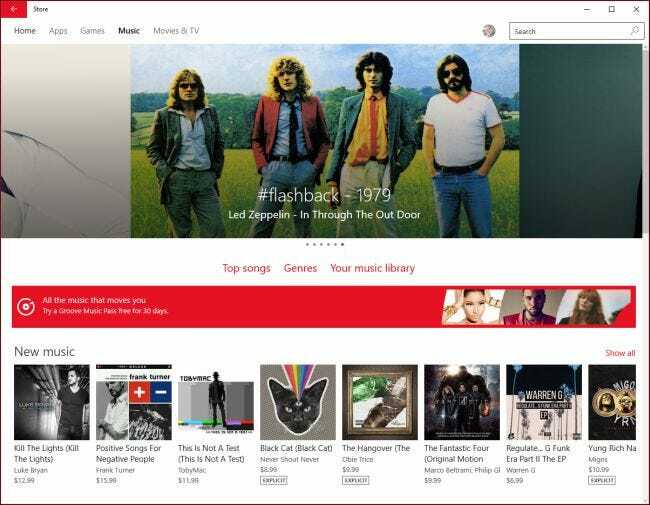 Beyond apps and games, the Windows Store also features music, which can be purchased by albums or individual tracks. Tracks typically range from $.99 to $1.29. 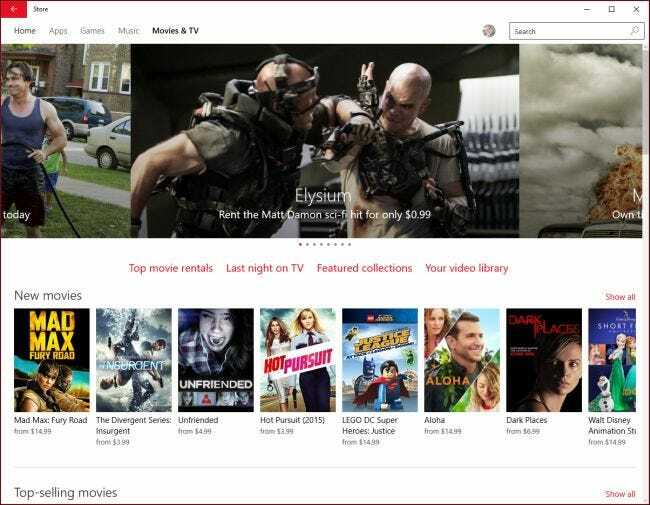 Similarly, the Windows Store features movies and television shows. You can buy a whole season of TV shows or by the episode for a few dollars each. If you click on your user profile, you can access you account options. 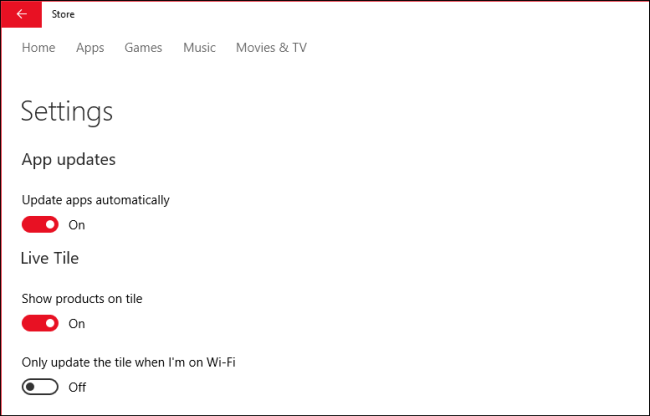 Open up the settings and you will find the option to disable automatic app updates, as well as whether products are shown on the live tile and if the tile is only updated when your Windows 10 device is connected to Wi-Fi. 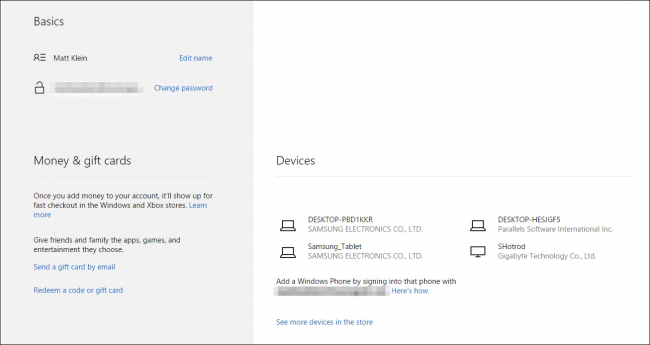 Among the settings, is a line to “manage your devices”. Clicking this will open up a browser page and display all devices that are signed in with your account, when apps were first installed, and give you the ability to remove each device from your profile. 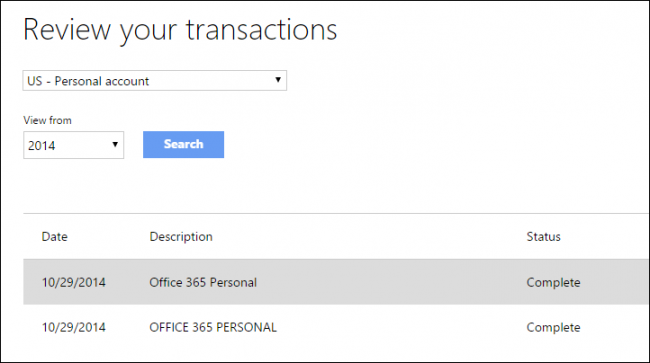 Clicking “View Account” will take you to an overview where you can manage your account and view recent purchases. You can also edit your name, change your password, send gift cards, and view your devices. 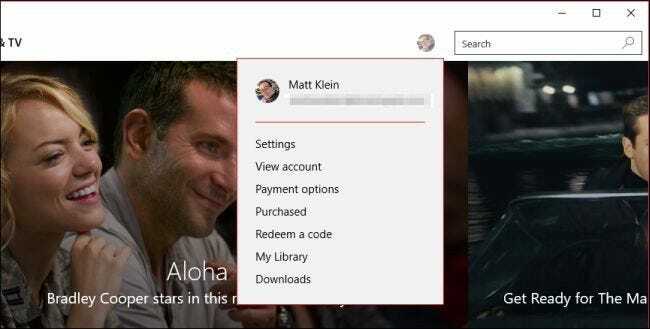 On the “payment options” screen, you can manage how you pay for apps, games, music, movies, and TV shows, by adding payment methods or adding funds to your Microsoft account. 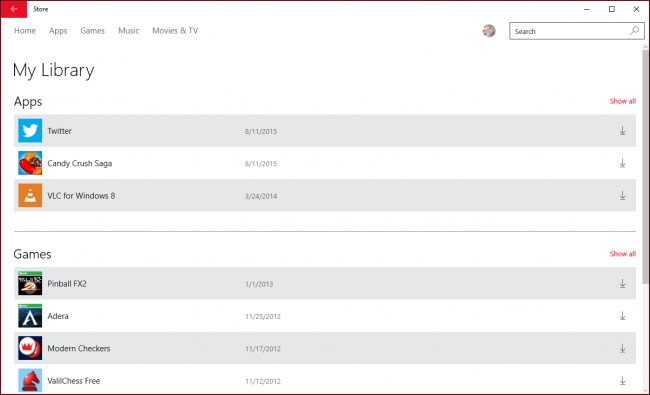 If you’ve made any purchases via the Windows Store, you can review them here going all the way back to 2012. Got a code or gift card you want to redeem? Enter it here to add funds to your account. The “My Library” feature will show you apps and games that you’ve acquired in the past. These may be both free or pay items, which you can then downloaded by clicking the arrow symbol along the right-hand edge. Finally, if you have any pending downloads queued, you can check on their status by clicking open the “Downloads” section. 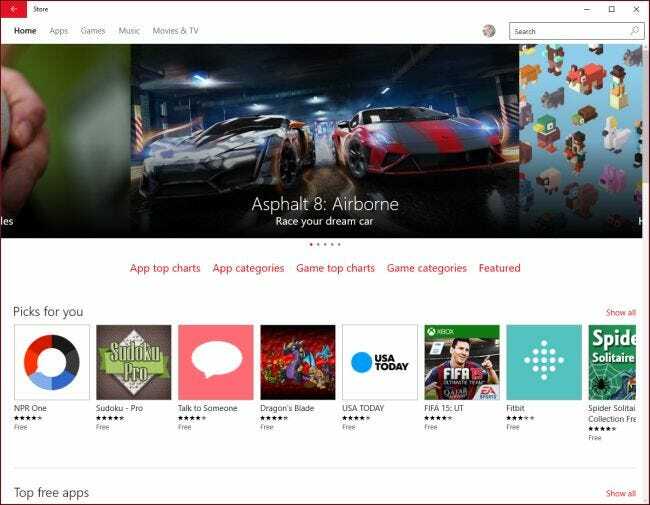 As you might have guessed and can see from the pictures and descriptions, the Windows Store is a simple way to download and install new apps and games on your computer, as well as acquire new music, movies, and TV shows. Unlike earlier versions, the new Windows Store is a clean, well organized, and hopefully a scam free place. If you would like to comment or you have a question you want to ask, please leave your feedback in our discussion forum.